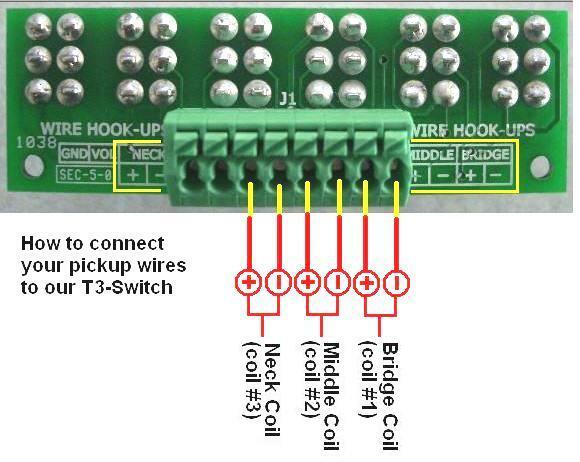 This assembled and tested Pickup Switch UpgradeTM product (also known as T3Plus-Switch) gives you 35 Pure Analog pickup tones on any instrument with three separate pickup coils (either three single-coil pickups; or one 4-wire humbucker pickup and one single-coil pickup). 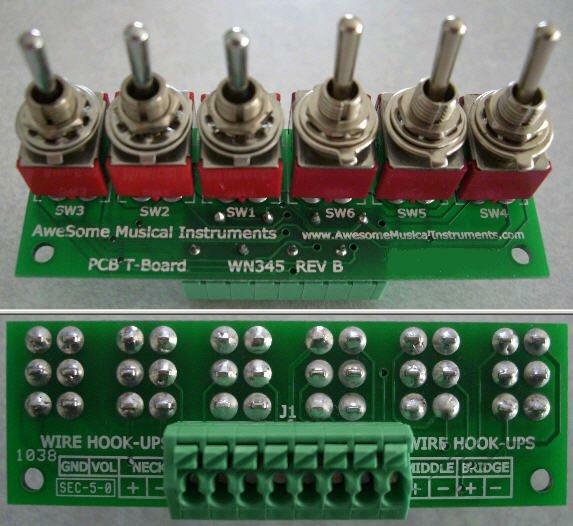 This is a do-it-yourself project that includes everything you need to install this upgrade into your right-hand or left-hand electric guitar or bass instrument. When you use these three switches (with SW4, SW5, SW6 all in the Down position), you get 13 different pickup tones from the combinations of three pickup coils being Off or On (either in normal-phase or in reverse-phase). It is also due to the combination of the pickup coils being in a Parallel circuit and is the same result you get from our T3-Switch product.